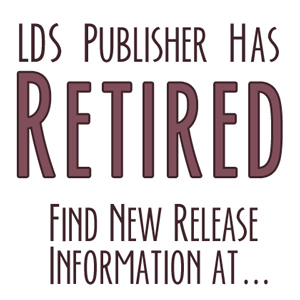 LDSP Note: Normally, I don’t post personal stories of how a writer finally got published, but this is a unique case of an LDS author being picked up by a traditional Christian publisher. I get asked all the time if that can happen. It’s rare, but here’s proof that it’s possible! My route leading to publication has been a thirty-year journey, culminating in a contract with Charisma House, a Christian publisher situated in Florida. An LDS author associated with a traditional Christian publisher? How did that come about? I could say accidentally, except that I believe I was guided to where I am today. Still, it’s been an unexpected path. During my thirty-year journey I wrote ten novels, trying a different genre with each in hopes that one of them would be my “breakthrough.” I frequently queried Deseret Books and Shadow Mountain Publishing in Utah and every major trade publisher I could think of, but to no avail. Letters of rejection became a way of life for me, and I eventually gave up saving them because I ran out of storage space. But with my eleventh novel, the result took a pleasant turn. It came about in this manner. One day my wife and I took our parents on a day outing to a heritage park. En route our parents began reminiscing about their courtships and how their friends had planned a shivaree on their wedding day. A shivaree was a local custom of friends separating the bride and groom after the wedding, as a prank, and keeping them apart for an hour or two. Harmless fun. Anyway, on the drive that day, our parents explained that for one reason or another, the shivarees intended for them failed to occur. But my mother-in-law reminded us that on her son’s wedding day, his bride was whisked away in a car by friends and involved in a car accident. Fortunately, no one was hurt, but it got me wondering . . . what if ? So I grasped that thread of an idea and decided to see where the story led. When I completed the novel, which was entitled In Due Season, I sent out the standard letters of inquiry. The result? Nothing! No one was interested. So I decided to take a leaf out of Richard Paul Evans’s book and turn it into a Christmas story, hoping to tap into that market. When the book (now retitled The Christmas Waltz) was done, I sent out more letters of inquiry—this time by email to literary agents. Within two hours, Joyce Hart of Hartline Literary Agency replied: “This is such a beautiful story. I’ve got to have it.” I waited for more responses, but when none came, I decided to ride the horse in the direction it was going, so I signed with Joyce. I didn’t know at the time that she was a Christian agent who dealt exclusively with traditional Christian publishers. All I knew was that she was an agent who had expressed interest in my work when no one else had. Joyce began shopping my book around, but after a year we had no nibbles. I decided that perhaps the book’s Christmas theme was too narrowly focused, so I took another few months and rewrote it again, changing the Christmas setting to an anniversary one. Now entitled The Anniversary Waltz, Joyce shopped it around for another year. And then, would you believe it, two Christian publishers expressed interest. Yes, two! In the end we went with Charisma House because they were willing to publish the book a whole year ahead of the other one. This is the story of my journey to publication and how I ended up in the traditional Christian marketplace. The thing about the Christian marketplace that appealed to me from the beginning was a disclaimer Joyce posted on her webpage: If your book has bad language or sexual content or gratuitous violence, then I’m not the agent for you. The same standards apply to my publisher. Content is expected to be of a high moral level, which is exactly how I like it. Now what about specific LDS content? I want my books to appeal to a broad cross-section of readers so that I don’t alienate anyone. Therefore, the religious content is presented in generalized terms. I use a recurring theme of love overcoming adversity in the face of overwhelming odds. People everywhere understand principles of love, faith, courage, and trials. I keep my message as inclusive as possible without compromising my personal standards. I don’t water down my religious beliefs, but I’m not “in your face” about it either. Would I encourage other LDS authors to try the Christian market? Of course. My agent and my publisher have been nothing short of amazing. They are supportive and encouraging and have bent over backwards to help and guide me. Besides, most of us don’t have the luxury of being choosy. I mean, how many publishers or agents have come knocking at your door lately? Having said that, I do believe that LDS readers accept general Christian ideals and standards more readily than Christian readers accept LDS ideals and standards. So personally I paint with a wide brush and am careful not to get “preachy” or “sneaky” in my writing. I don’t slip LDS doctrine in and then smirk to think I pulled one over on my readers. I have no hidden agenda. I simply want to tell a story that appeals to a broad base and makes my readers feel better for having spent some time with me. Likewise, I hope those who read this article feel a little better for having spent some time with me too. We need to fulfill the Church’s clarion call for LDS writers, artists, musicians, producers, and composers to step up and make their voices heard. As standards continue their rapid decline, we can and must make a difference in this world. 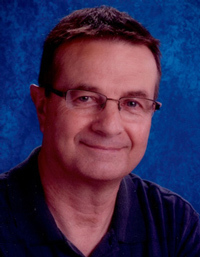 Darrel Nelson taught school for 37 years and began writing full-time after he retired. He has two published novels, The Anniversary Waltz and The Return of Cassandra Todd. He’s currently working on a third novel, Following Rain, which deals with the saving power of truth and love. Visit Darrel at http://www.darrelnelson.com or email him at darmarn@telus.net. Cool journey! Thanks for sharing!!! It was my pleasure, Emily. It has been a cool journey. But I’ve discovered that in many ways I’m just getting started. Writing a book is one thing, but marketing it is quite another. Of the two, writing is the easier part, I’ve discovered (but that’s another story). So . . . the journey continues.